The M815 Metal Striped special edition was announced in May and began shipping in late June of this year. It is the first M8xx release during the company’s 180th anniversary which makes the stakes seem just a little bit higher. This is not the first Pelikan pen to be labeled an M815 though. That honor fell to the Wall Street limited edition from 1995. 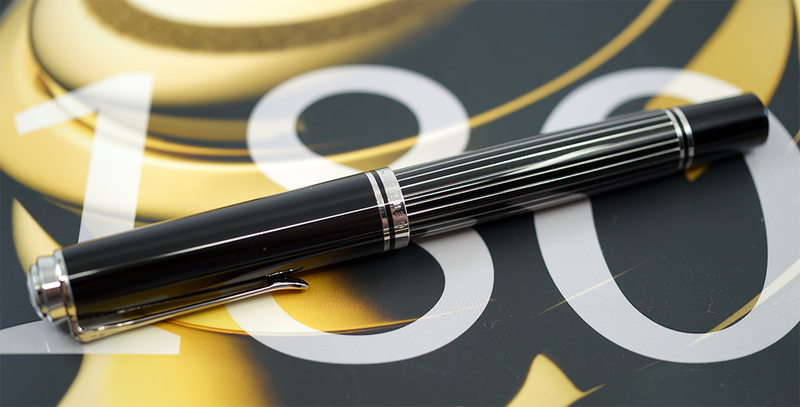 While the two pens share little in common, it is nice to see Pelikan taking a new approach in tackling what is by now a familiar theme. 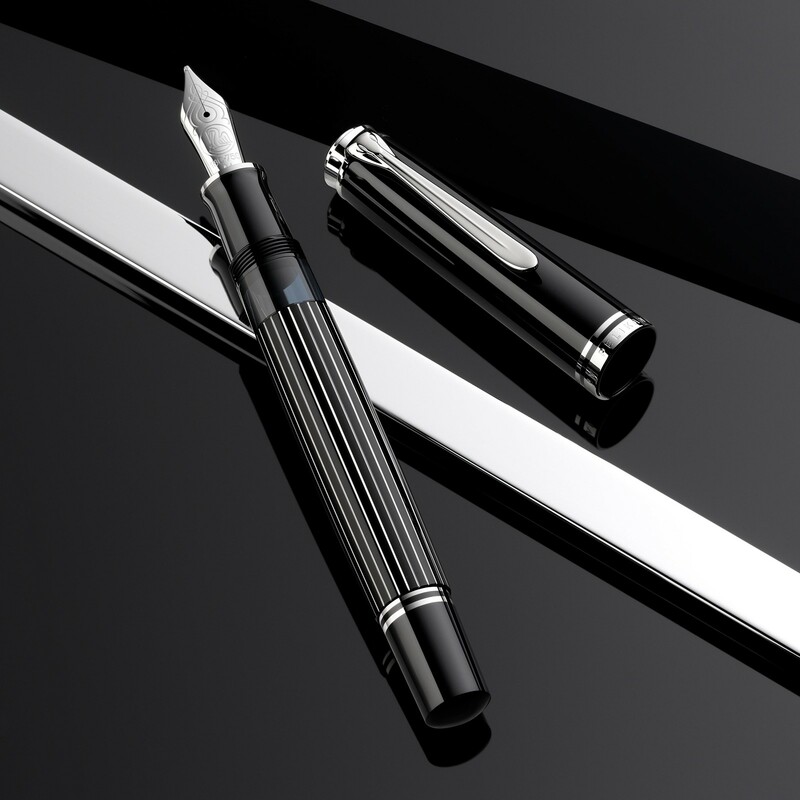 The current M815 marries Pelikan’s high quality resin with palladium-plated stripes made from brass. The overall effect is a sophisticated elevation of their typical striped “Stresemann” design which enjoys a long and prestigious heritage. The brass added to this model gives it more heft than your typical M8xx, a boon for those who like a heavier pen. While not an exact analogy, you can think of it in terms of cramming an M1000’s weight into an M800’s body. One thing that detractors will likely be quick to point out, and rightly so, is that this model seems to have a lot in common with the M805 Stresemann from 2015. Let’s take a closer look and see if the M815 has enough going for it to stand on its own merits and separate itself from the pack.